As spring becomes part of the mix and summer is on its way, you will have a number of parties to attend. You desire something romantic and makes you feel like a queen. 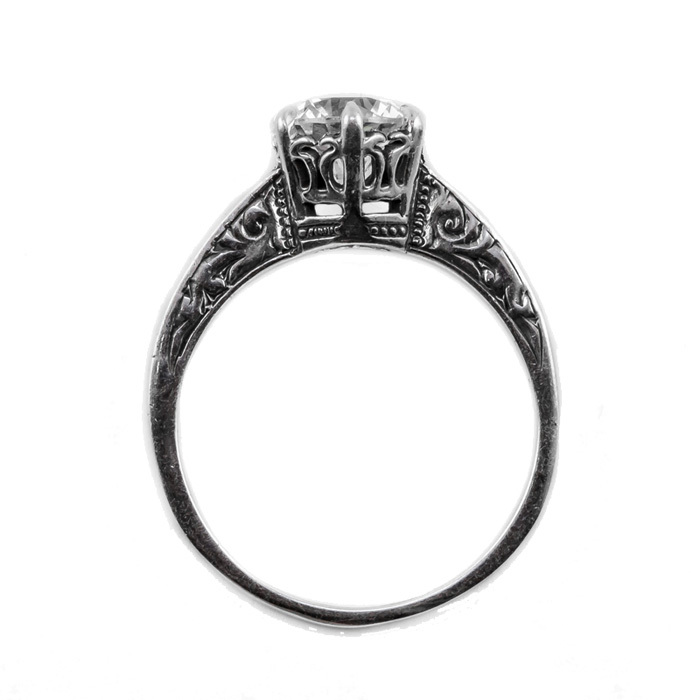 This vintage inspired ring has style like you have never seen before. 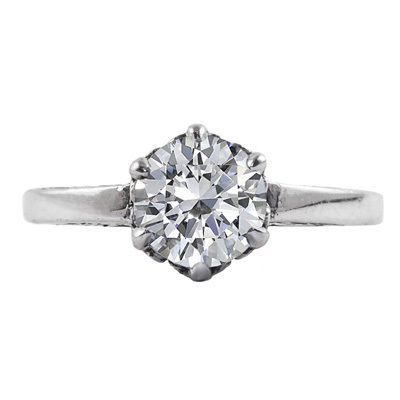 The simple and sparkling glamour of the white topaz gemstone will have you looking no further. The intricate and dainty details in the polished sterling silver band bring this piece of jewelry to new heights. Apples of Gold want you to feel like you are on the red carpet when you wear this classic and elegant piece of hand crafted jewelry. 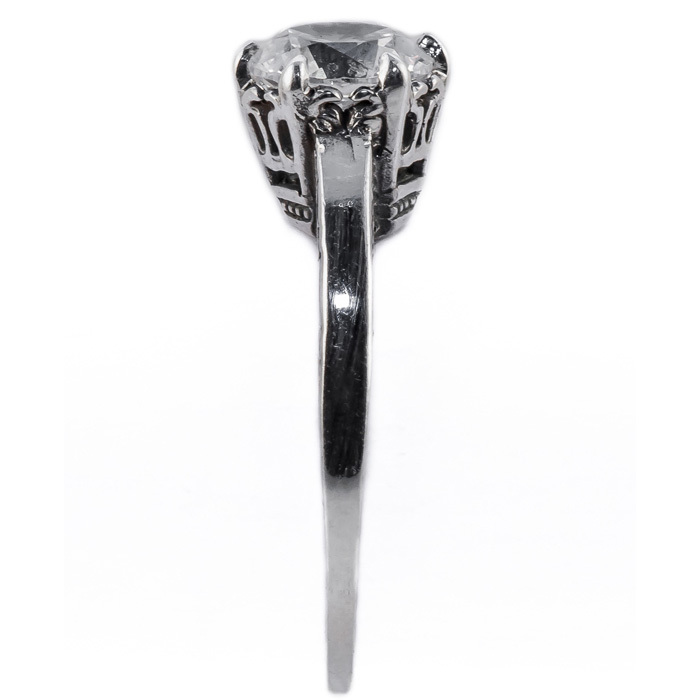 This ring measures 7mm and will win the hearts of all who see it. Makes a unique gift idea. We guarantee our Vintage Style White Topaz Solitaire Ring in Sterling Silver to be high quality, authentic jewelry, as described above.